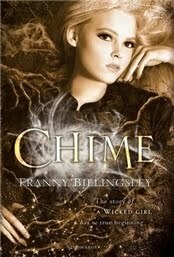 Franny Billingsley’s Chime opens with the narrator, seventeen-year-old Briony Larkin, confessing to being a witch and declaring herself guilty of everything. “Everything what?”, you wonder. Well, that’s a question that the story takes its sweet time answering. All we know at first is that Briony has a twin sister, a dead stepmother, an estranged family given to silences and with a history of mysterious illnesses, and memories of a fire in the parsonage where she lives where all her books – and her own writing – were destroyed. There’s also a handsome stranger, Eldric, recently come to town, and a persistent suitor, Cecil, that Briony doesn’t quite know how to get rid of (but not really a love triangle, worry not). As you can imagine, Chime is more than a little vague at first: this is one of those books that you keep reading just to make sense of what’s going on, and then before you know it you’re completely hooked, even if nothing much has been clarified. The initial confusion is well worth wading through, though, because the payoff is huge. Leila from Bookshelves of Doom compared Chime to Shirley Jackson’s We Have Always Lived in the Castle, and I can very well see what she means. Don’t worry, by the way: this is not a spoiler. The books aren’t really similar plot-wise. But there are several parallels in how the story unfolds and how quickly it grabs the reader. There’s so much about Chime worthy of being discussed that I don’t even know where to start. First of all, the setting: Chime seems to be set in an alternate early twentieth century England. Cars and telephones are novelties, and there are mentions of London, Manchester and other big cities. The town where the story is set, Swampsea, is very much a community on the brink of modernity. There’s a clear conflict between a traditional, semi-pagan and ecologically balanced yet socially restrictive community, and all the changes that being opened up to the world will bring. Briony embodies that conflict herself: she loves the swamp, yet she resents all the restrictions that being the daughter of the local parson puts on her, and she craves access to the wider world. There’s so much more I could say about Swampsea and the world of Chime: as in The Folk Keeper, Franny Billingsley makes wide use of symbolism and creates a world that feels far bigger and deeper than the glimpses of it we catch in the story. It feels… organic and real and like it will go on existing once we close the pages of the book. In short, the worldbuilding does pretty much everything it’s supposed to do, and on top of that it does it with astonishing restraint and economy. Another thing that will not surprise readers of The Folk Keeper is Billingsley’s unique use of language. Her writing is like nobody else’s, and in the case of Chime I especially loved how much the characters’ unique language patterns contribute to the worldbuilding: how they give the reader the sense that this was another place, a place with its own culture and history, with such subtlety and ease; how much they add to the story’s mood and tone. I was strongly reminded of what Margo Lanagan does in Tender Morsels in that regard. As for the plot, well, Chime is a highly spoilable book, so there’s only so much I can say. But readers will soon realise that Briony is an unreliable narrator, and that what is really going on is only slowly being revealed. Of course, as with any first person narration the storytelling and the character development are closely interlinked. It was quite moving to see Briony slowly come to the realisation that she’s a human being and as worthy of love and acceptance as anyone else. But that’s the tip of the iceberg, really. What’s going on here is far more complex than Girls Regains Her Self-Esteem. I loved that the solution to the mystery at the heart of the book relies on a defiance of perceived gender roles. Excellent points are made about women’s creativity and how it’s not usually acknowledged or perceived as important. But I’m afraid I really can’t say much more about that without spoiler. Another thing Billingsley does is explore the traps and challenges of traditional masculinity. Eldric and Cecil embody two very different ways of being a boy, and this has a direct bearing on how they interact with Briony and perceive the women in their lives. Finally, gender also plays a key role in why it is so easy to shame Briony; on why she comes to perceive not only the recent mysterious events but her whole life the way she does – and why deconstructing this narrative is such a difficult process. In sum: Franny Billingsley proves her awesomeness once again. Despite a cover that makes it look like so much else out there (sorry: I’m trying to keep my continued grumbles about covers with pictures of real people to myself, but when I compare this to the covers of The Folk Keeper I cry inside), Chime is quite unique and an absolute gem of a book. There are several kinds of silence. There’s the silence of being alone, which I like well enough. Then there’s the silence of one’s gather. The silence when you have nothing to say and he has nothing to say. The silence between you after the investigation of your stepmother’s death. We’ve never spoken of the inquest, at which the coroner testified that Stepmother had died of arsenic poisoning. Of the inquest, at which Father testified that Stepmother had taken her own life. Of the inquest, at which I testified that Stepmother would never have taken her life. The air shattered; Rose’s screams had begun. The others jumped, then looked about, wondering if they should pretend not to notice. But I was still thinking about silence. Father’s silence is not merely the absence of sound. It’s a creature with a life of its own. It chokes you. It pinches you small as a grain of rice. It twists in your guts like a worm. When we were small, Rose and I used to play a game called connect the dots. I loved it. I loved drawing a line from dot number 1 to dot number 2 and so on. Most of all, I loved the moment when the chaotic sprinkle of dots resolves into a picture. That’s what stories do. They connect the random dots of life into a picture. But it’s all an illusion. Just try to connect the dots of life. You’ll end up with a lunatic scribble. The crowd rustled behind us. They’d be staring, of course, at the reverend’s peculiar daughter. I don’t mind the disapproving ones so much. It’s the tolerant ones I can’t stand, the ones who smile at Rose, who speak to her ever so slowly and gentle. They don’t realise how very intelligent Rose really is. They’re just terrifically pleased with themselves. Look at me! they all but shout. See how broad-minded I am! How wonderfully progressive, how fantastically twentieth century! I read this book and enjoyed it a lot as well. I haven't had the chance to read this author's other book but I'm definitely going to at some point. Great review! Fantastic review as always. I've read several reviews of this and I've been on the fence but now I'm sold. I must read this. It sounds like just the sort of toothsome book I could really fall in love with. This sounds great! And what a beautiful cover too! I don't usually gravitate towards, but you've made it sound awfully intriguing. I read Chime last week and absolutely loved it, especially Briony's uniquely lyrical voice. Although I haven't read any other of Franny Billingsley's books yet, I definitely plan on it. I appreciate it when a novel is compared to other works and I promptly read your reviews of We Have Always Lived in the Castle by Shirley Jackson and Tender Morsels by Margo Lanagan. The former intrigues me and has made it onto my TBR queue but the latter will need to wait until I feel emotionally prepared for its subject matter. I also admired how Chima included subtle teachable moments that were integrated into the story and not preachy, in particular Eldric's comments on alcohol and drugs. Usually I'm not keen on a worldly knowledgeable male enlightening a sheltered naive female, but I accept these characterizations in Chime because Briony's position as a rural parson's daughter contributed to the plot. This does sound very interesting, and your refusal to spoil the plot only intrigues me all the more! I like that there is so much to think about and consider with this book and will have to be sure to add it to my collection soon. I bet my daughter will love it as well. Thanks for another outstanding review, Ana! I TOO DISLIKE covers with real people. Why are they experiencing such a renaissance in young adult fiction? I don't damn well like them. I like weird patterns and creepy stylized drawings, and I would like the universe to please conform with my desires. Sam: You haven't reviewed it yet, have you? Looking forward to hearing your full thoughts! Holly: Aw, thank you for the kind words! If you like the bits I quoted, you'll LOVE the writing as a whole. Memory: I hope you enjoy it as much as I did! 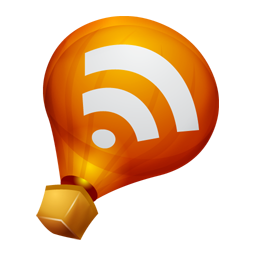 Kelly: I actually read it a while ago, but it takes me forever to get a post written these days (as you know from all our delayed or aborted buddy reviews :P). I'm looking forward to hearing what you think of it! Kathy: I really think it has widespread appeal and could easily win over readers who don't usually go for fantasy. Anon: As much as I love TM, it's definitely a good idea to leave it for when you're feeling up to it. Also, that's such an excellent point. That scene is the kind of thing that normally makes me go "Um", but in this case it didn't bother me at all because it happened in the context of an equal relationship. Eldric never patronised Briony despite being older and more experienced, and that was really no exception. Zibilee: I think Chime would be perfect for a mother-daughter discussion! Jenny: EXACTLY. Why won't anyone listen to us? I absolutely adored this book, so glad you did too! Have not even heard of this one, and now I'm wondering where in the world I've been? Sounds intriguing and I love the selections you provided. It's interesting that Fanny Billingsley is getting so much attention now. 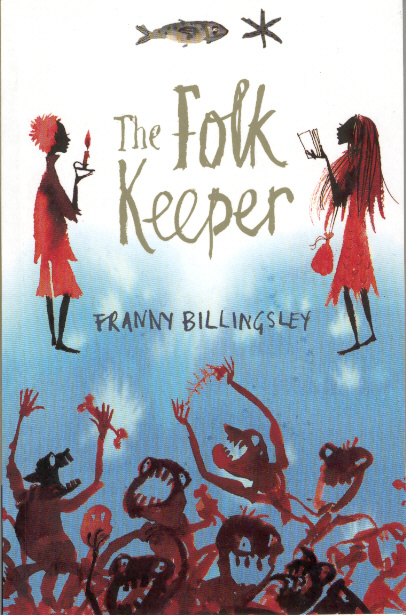 I remember I read The Folk Keeper a looong time ago and loved it but could find NOONE else who had read it! I haven't read anything by Billingsley before so I'll be keeping an eye out for this one. Sounds very interesting. Lovely blog you have! I came to it from a google link for Chime. Just read The Folk Keeper, which I am blogging about today. I have Chime on order. And now I am following you! Oh and I recently read Fly Trap which was awesome. I completely agree with you about the cover! I talked about it in my review of Chime too. It actually almost made me not read the book. I haven't read this and I wonder whether I ever will. Billingsley plagiarised a famous anime Fullmetal alchemist. The main character is called Ed Elric. He has golden hair, he feels guilty over turning his brother into a soul attached on a suit of armour. His resemblence to Eldric and the self-hatred theme in Chime is too close to be a coincidence. Just read this as well! Apparently it's my month for reading everything you made sound good. :p I have to say, I didn't love love Well Wished when I reread it as an adult, so I had reservations about Chime. But it was actually really good. Exactly the right kind of unreliable narrator, exactly the right kind of romance. Now I shall read The Folk Keeper.